The idea to speed up the system start by delaying the launch of startup items is certainly puzzling at first. How can a program speed up the startup if programs are delayed in their exeuction? Let me give you a good example. If you ever tried to unpack or pack two archives at once you noticed that it takes considerably more time than performing the operations one after the other. The reason for that is that resources need to be divided between different tasks running at the same time. More often than not, it increases the overall processing time due to that. The same principle can be applied to Windows start ups. Many software programs try to load during startup: Firewalls, Antivirus scanners, Office indexing and hundreds of others all load at the same time because Windows has no way of prioritizing startups (Update: newer versions of Windows have the option to delay the execution, but older versions still do not). Enter Startup Delayer. What this software does is to list all applications that are started when Windows starts. You can then delay the startup of applications that are not system critical. While you may want to start security software like firewalls or antivirus right away, you may not require immediate access to Office or iTunes so that you may not even notice that the start of these programs is delayed. If you only load a few programs you may not notice much of an improvement in startup time as it depends largely on the number and type of applications. If you only run antivirus software on start for instance, you don't need to use the tool as it won't be beneficial at all. If you run lots of programs on start however, Norton, Office, iTunes and other heavy programs, then you will certainly benefit from delayed starts of these programs. 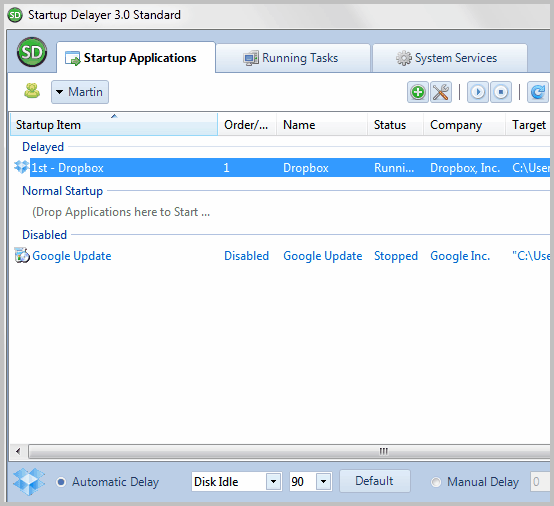 Update: A review of the latest version of Startup Delayer has been posted here on this site. Feel free to check it out for screenshots and information on what's new and changed. 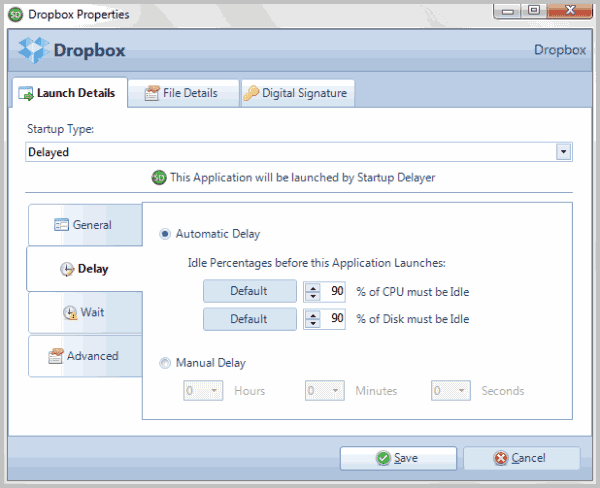 Find out how to delay the startup of programs that autostart on Windows systems to speed up the system start. Thanks for the recommendation :D I’ve had to go off and make tea whilst waiting for my laptop to fully start up, so I think this will be very useful! If it works out, I’ll try and post back as to which programs are best opened later in my experience, but it would be interesting to find out how others are using it. Most people who use AntiVir keep AVGNT as well as AVGUARD.exe on. You don’t need to. Only AVGUARD.exe (or the service ) is enough, even the updater is redundant. I have used ‘Startup Delayer’ for a very long time. Great program that just just keeps getting better.It should have been built into Windows!. I have used a few other programs from r2 Studios as well, they create great stuff. Great bunch of people working there. Amigos Amigas, muchas gracias. Saludos. PURA VIDA.